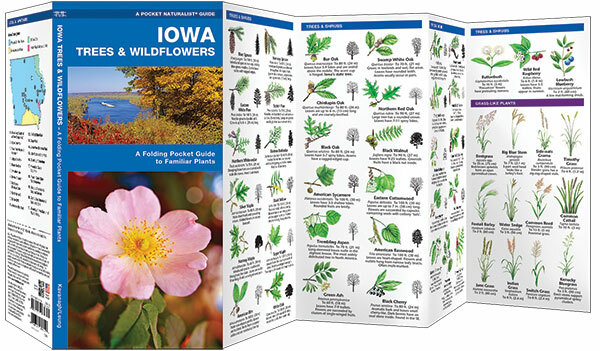 The state flower – the Prairie rose – is one of thousands of species of plants growing in the diverse ecosystems found throughout Iowa. 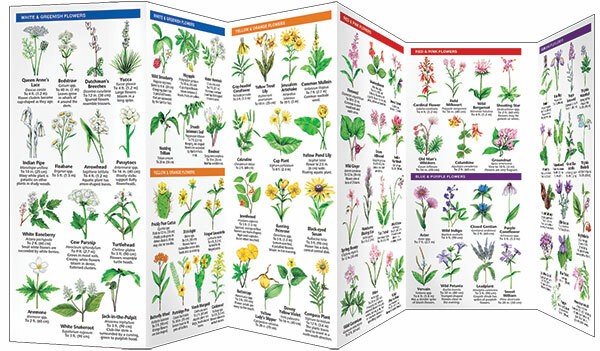 This beautifully illustrated guide will help you to identify over 140 familiar and unique species of trees, shrubs and wildflowers. It also includes a map featuring prominent botanical sanctuaries that any nature enthusiast would love to explore. Laminated for durability, this lightweight, pocket-sized folding guide is an excellent source of portable information and ideal for field use by visitors and residents alike. Made in the USA.